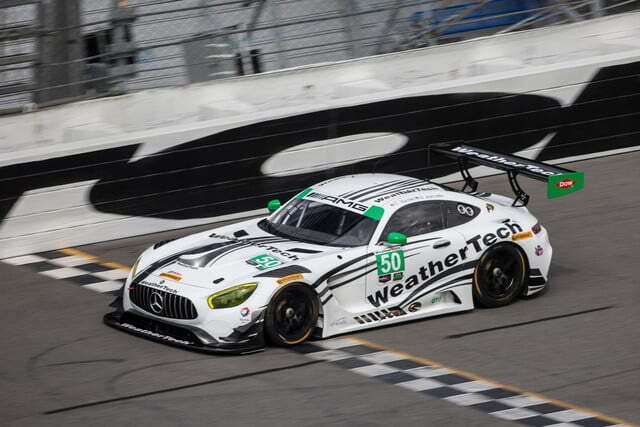 It may not have as many fans as NASCAR, and may not have the pedigree of its European cousin, the FIA World Endurance Championship, but the IMSA WeatherTech SportsCar Championship represents the pinnacle of road racing in North America. It features the likes of Audi, BMW, Chevrolet, Ferrari, Ford, Lamborghini, and Porsche, but one name has been conspicuously absent. 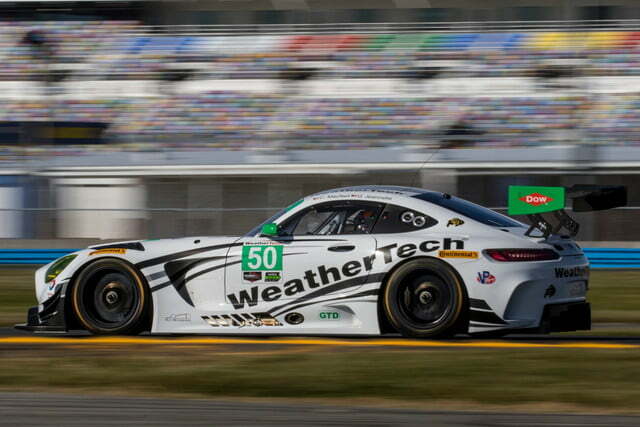 Mercedes-Benz is fairly active in motor sports, but until now it hasn’t been involved in the IMSA series. 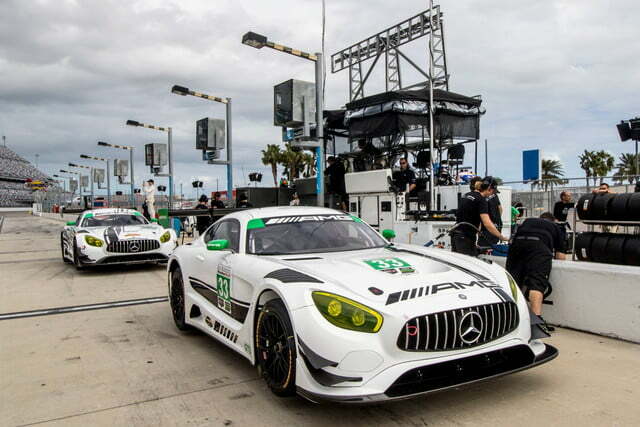 That will change for the upcoming 2017 season, when Mercedes will partner with the Riley Motorsports team on two AMG GT3 sports cars. 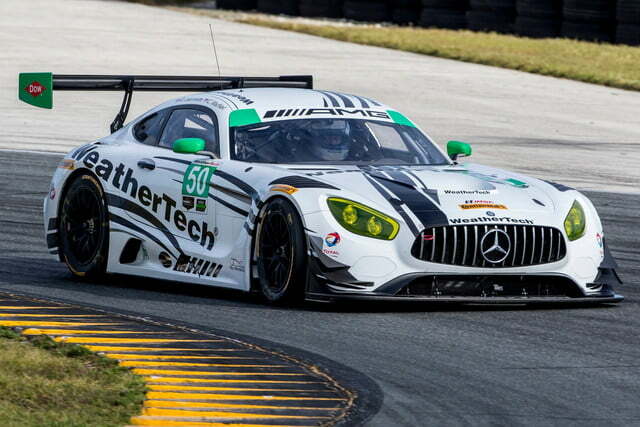 In addition to the factory-backed cars, Mercedes plans to sell race cars to customer teams. 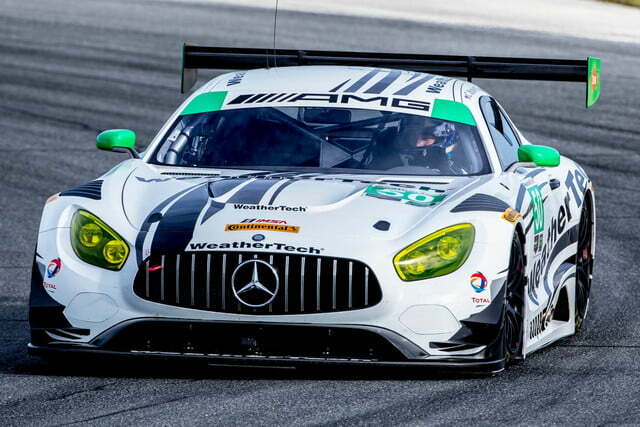 The Mercedes-AMG GT3 is a racing version of the AMG GT road car that made its competition debut in Europe earlier this year. In place of the road car’s 4.0-liter twin-turbocharged V8, it uses the old school, naturally aspirated 6.2-liter V8 from the AMG GT’s predecessor, the SLS AMG. 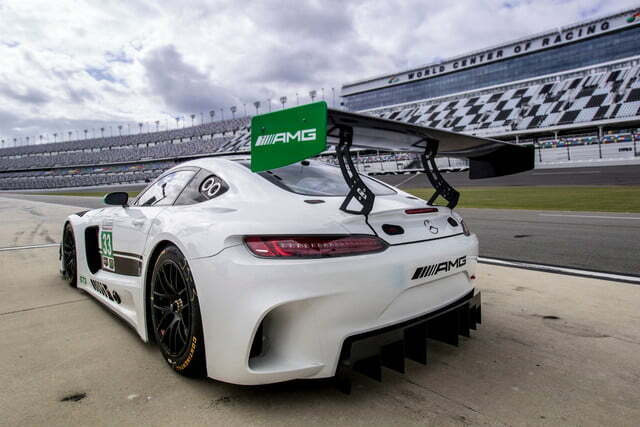 A host of other mechanical and safety modifications make the AMG GT3 ready to race. 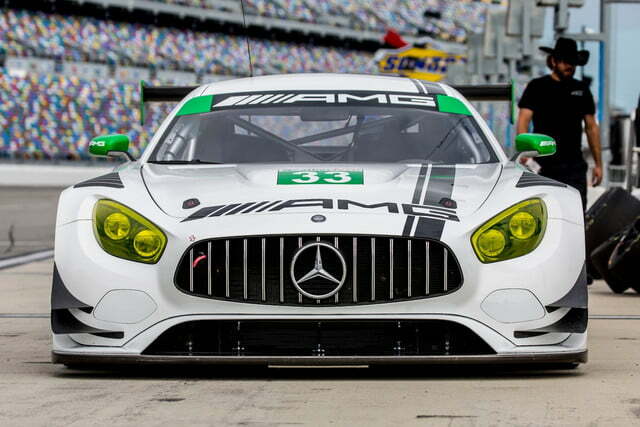 The AMG GT3 gets its name from the FIA GT3 class it was designed to race in. 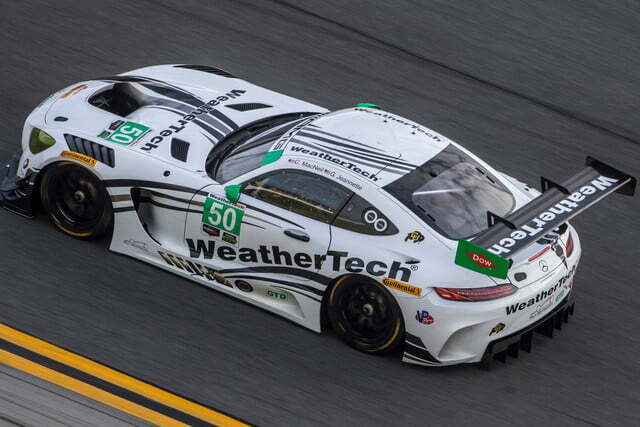 It will compete in IMSA’s GT Daytona (GTD) class, which features many other GT3-spec cars, including racing versions of the Audi R8, Ferrari 488 GTB, Lamborghini Huracán, and Porsche 911. The Acura NSX will also join for 2017. It should make for quite a show. 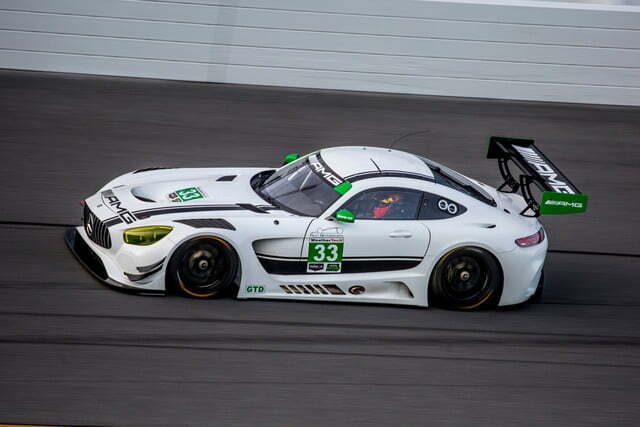 Alongside the factory-backed pair of cars, Mercedes expects multiple teams to buy and race the AMG GT3. The carmaker will provide on-site technical assistance to each of these teams at every race on the 2017 calendar. 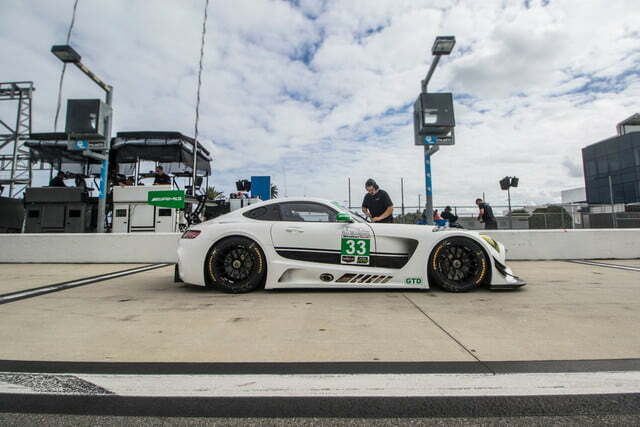 Customer teams previously raced the old SLS AMG GT3 in the Pirelli World Challenge, but this is the first time in a long time that Mercedes has launched a factory-backed effort in a North American racing series . The 2017 IMSA WeatherTech SportsCar Championship kicks off in January with the Rolex 24 at Daytona, a 24-hour race at Florida’s Daytona International Speedway.The calendar includes 12 events around the U.S. and Canada, ending with the Petit Le Mans at Road Atlanta in October.